Babu Satis Chandra Majumdar graduated BSc from the University of Glasgow in 1910. He was born in Khandarpara, Faridpur, Eastern Bengal and Assam, India (modern day Bangladesh), son of Haladhar Majumadar, Zemindar of Faridpur. 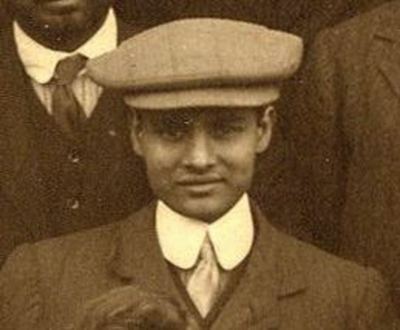 Majumdar came to the University of Glasgow on an Indian Government State scholarship for higher education, which provided an annual sum of £200 for three years. Before enrolling at the University Majumdar had a distinguished career at Calcutta University, obtaining both junior and senior government scholarships and passing the BSc examination with first class honours in Physics and 2nd class honours in Mathematics, and obtaining the Hindu College Foundation scholarship. He was then appointed Deputy Magistrate and Deputy Collector in the Provincial Civil Service of Eastern Bengal and Assam; a post from which he resigned in order to take up his scholarship. Majumdar sailed from Bombay on 26 September 1908 by the P&O SS Egypt, and travelled overland via Marseilles. On his arrival in the UK, he asked that he be given an exemption to study at Glasgow - Oxford and Cambridge being the only two Universities stipulated in the scholarship regulations. He was given an exemption and was also considered as a Public Works Department (PWD) candidate despite being one month over the age limit upon graduation in 1911. Majumdar, exempted from preliminary examinations on account of his education at Calcutta University, immediately enrolled at the University upon his arrival in 1908, residing at the time of his matriculation in the Central Station Hotel. Over the course of two years, Majumdar was awarded several prizes; a first class certificate in Higher Mathematics (1908); the Walker Prize for Engineering and a prize for Engineering Class IV (1908-09); and he also came third in the prize list for Engineering Senior Laboratory and fourth in Electrical Engineering I (1909-10). He graduated BSc on 18 April 1910, and returned to India as an engineer.